CCA Kids Blog: Three Cheers for Volunteers! CCA is fortunate to have volunteers serving in many capacities – awareness, fundraising, networking, and more! They help push us closer to achieving our mission and vision. One of these volunteers is Khadija Moten. After graduating with her Bachelor’s of Science in Healthcare Studies, Khadija was interested in pursuing an internship to give her more insight into the types of opportunities she may pursue with her career. Interested in nonprofits, Khadija reached out to CCA to see if we had any internship opportunities … and we do! 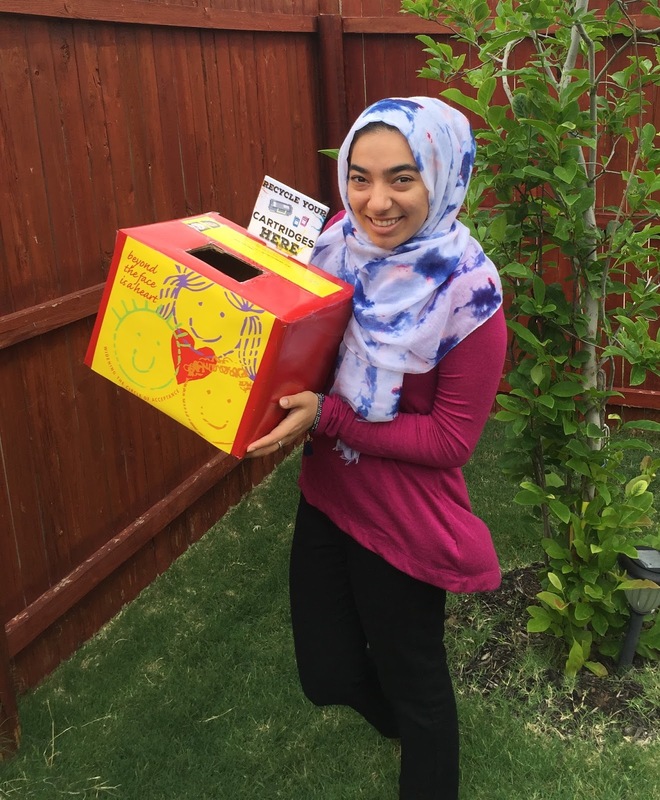 Since coming on board as a volunteer and intern, Khadija has helped us with our marketing efforts by creating social media posts and graphics, press releases, and community outreach. She’s also heading up the effort in Dallas to collect ink cartridges to send a family toretreat using the funds raised. Khadjia has done an excellent job at spreading the word and for her effort and time, we give Three Cheers for our super volunteer, Khadija Moten!